Yes, summer means longer days, school being out, vacations and blockbuster movies. Yet, this summer the studios will be putting out six, count’em six, movies based on comic books/graphic novels. What gives? There was a time when comic books were considered a sign of the downfall of civilization and were blamed for corrupting young minds. Even Stan Lee, the creator of Spiderman, Thor and other superheroes of the Marvel Comics universe, didn’t think too highly of comic books when he first started out. He became a comic book writer because he needed the money and Timely Comics, which later became Marvel, paid him very well for his work. Yet, many years later both he and movie studio executives realized that there’s storytelling gold in comic books. They have action, drama and a love story for when there’s a lull in the action. It’s still the economy, stupid. Last summer people wanted to escape the recession with animated films, this year the escape “vehicle” is the superhero movie. While last year moviegoers wanted reminders of childhood, this year they want a hero to save them from unemployment and home foreclosure. Unfortunately, superheroes can’t do much about those things, but it is fun to imagine that they could. After all, the U.S. is still in the grips of a recession and escapist films have traditionally done well during difficult times. Last year’s summer blockbuster movie season saw $4.05 billion worth of ticket sales, so the studios must be doing something right. Why do people want a superhero? Because a superhero gets the job done. Superheroes get the bad guy without so much of a grumble and they do it with style. Just look at Superman, Batman Spiderman, Ironman and the like. They either have gadgets, strength or a little of both and they get the villain. Crime will not pay if a superhero is on the case. The story of the superhero goes waaay back. If you think the superhero story is a 20th century invention, think again. Stories such as Hercules and Samson show how far back the idea of a superhero goes—and those are just from the Western culture. Other cultures have their stories of someone who can perform amazing feats of strength for the good of a community. People all around the world and in all times have had to deal with evil and injustice, so it is no wonder that stories of a person with both amazing physical strength and the will to fight the good fight were told. They were and still are exercises in fantasy and an inspiration for others to fight the good fight, as well. As for which superhero movies will be very successful and which ones will just bomb, I’ll most likely write about that in a future blog entry. Well, May 21, 2011 6:00 PM came and went and we’re all still here. All this talk about the end of the world got me thinking about how I can turn this into a blog entry. Then it hit me. (I’m talking about an idea, not a bolt of lightening.) I could do a blog entry on the disaster films of the 1970’s. After all, disasters flicks of the 1970’s have it all, action, drama, sometimes a secondary love story to keep the story going when there’s a lull in the action. So, without further ado, here is a short list of disaster films of the 1970’s. What would happen if you got on a plane on a snowy night and one of the passengers carried a bomb? No, this is not the latest terror plot, this is the plot of Airport. Based on the book of the same name by Arthur Hailey, the film stars Dean Martin, as pilot of the ill fated plane (in a rare dramatic turn), Burt Lancaster, as the airport’s manager and George Kennedy is the gruff mechanic who saves the day. This film was successful at the box office and spawned three sequels and the infamous Airplane! spoof movies. In the late 1970’s many a comedian made a joke out of the “Big One”, which is the earthquake that does more than just shake up California, but causes havoc. When I heard these jokes, I wondered where the comedians got this idea from. Then I saw the movie Earthquake on television and I stopped wondering. This movie came out just as the disaster flick was wearing thin, so its kind of a throw in everything but the kitchen sink, type of film. It has major stars, such as Ava Gardner, Lorne Greene (as her father, no less, even though she was only 7 years younger then him), Charlton Heston and George Kennedy, as a gruff cop who saves the day. It has a disaster, i.e. the big earthquake that shakes Los Angeles to its core. It also has a cliché love story where businessman Heston has an affair with a young mother. The film didn’t win any awards, but it did feature a new sound system called Sensurround. Yet, it this feature didn’t catch on for subsequent films. You think the fact that it was associated with the film Earthquake had something to do with it? 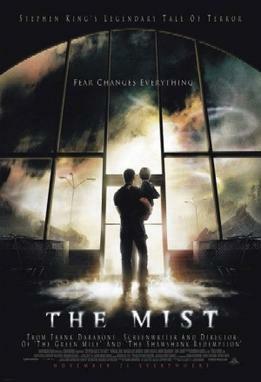 This film is considered the best of the disaster film genre, since the level of acting of its two major stars Paul Newman, as the architect of the the world’s tallest building and Steve McQueen, in his last film role, as the fire chief who obviously wants to put out the fire, is top notch. The film also stars William Holden, as the chief builder, Richard Chamberlain (who plays the film’s villian, no less) as the electrican, Faye Dunaway and even Fred Astaire. Newman’s character returns from vacation and senses that something isn’t right with the building. He is proven right, as shoddy wiring starts a fire that quickly consumes the building, just as a high society party is going on at 129th floor. Who will be saved and who will go up in smoke? I don’t know. I guess, I’ll just have to watch the movie and find out. Of course, this blog entry is no disaster, since no one was hurt in the writing of this entry. 1) Scantily clad damsel in distress, if the poster is pre 1960 or realistic image in an absurd setting for post 1960’s posters. 2) Male and female gazing at each other or in an embrace. 3) Physically fit protagonist holding a weapon. 4) Main characters in an odd pose, in extreme close up or in an odd situation. Of course, not even the best designed movie poster can turn a dud into a classic, but I have to admit that movie posters of any genre look cool and some are more cool looking than others. As to which are which, that’s a blog entry for another time.